Ottawa announced today its plans to force incumbents to lower domestic roaming rates and amend the Telecommunications Act and Radiocommunication Act in order to give Industry Canada and the CRTC more power to regulate the Big Three. This power will include the ability to lay monetary penalties to force them to comply with the rules (via the Globe and Mail). 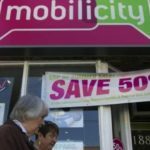 The announcement comes after the CRTC said that it will scan the Big Three’s wholesale wireless roaming rates over competition concerns. Domestic roaming rates have come into focus as part of the government’s push for a competitive wireless market. Since the wireless startups have limited coverage, they can only serve their customers outside their coverage area if they have a roaming agreement with any of the incumbents. As a result, a wireless startup’s customer can travel outside the coverage area and use his/her phone because it will patch into the network of the Big Three, who, in turn, will charge the startup for the access. Ottawa has always had plans to create competitive market conditions, but throughout the past 30 years they have failed to achieve their goals. The result is the current state of the Canadian wireless market: The incumbents control more than 90% of the market. This year, however, the government has reinforced its commitment to a competitive wireless market in multiple ways: the media war with the incumbents and the Telus-Mobilicity deal rejection, just to name a few. It still remains to be seen exactly what 2014 will bring in terms of changes.